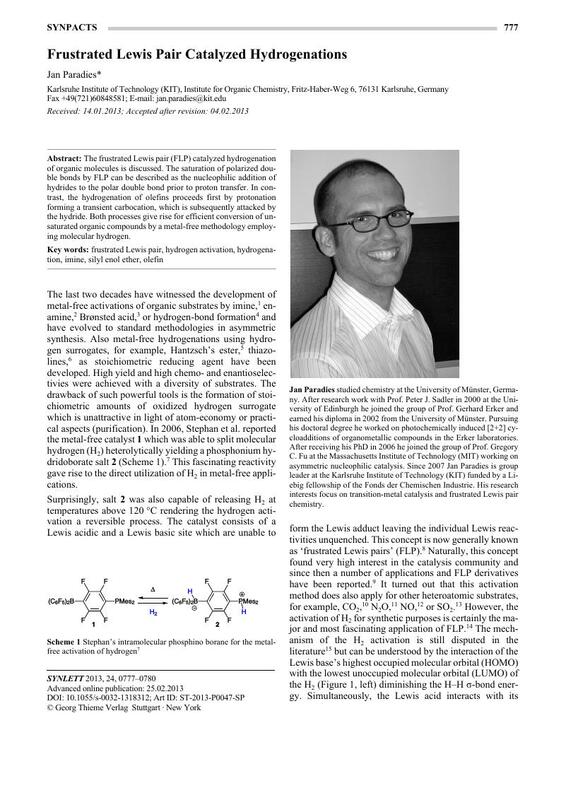 The frustrated Lewis pair (FLP) catalyzed hydrogenation of organic molecules is discussed. The saturation of polarized double bonds by FLP can be described as the nucleophilic addition of hydrides to the polar double bond prior to proton transfer. In contrast, the hydrogenation of olefins proceeds first by protonation forming a transient carbocation, which is subsequently attacked by the hydride. Both processes give rise for efficient conversion of unsaturated organic compounds by a metal-free methodology employing molecular hydrogen.